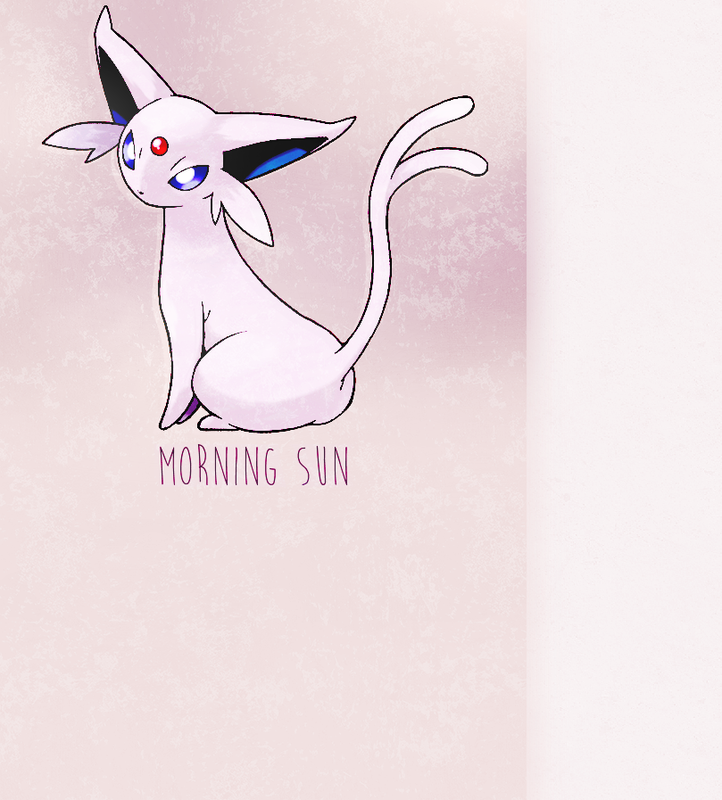 Welcome to Morning Sun, the fanlisting for Espeon (Eifi) from the Pokémon series, listed at thefanlistings.org and animefanlistings.com. Espeon is number 196 in the national pokédex and a psychic type; it is one of Eevee's many evolutionary paths, and evolves during the day with high friendship. This fanlisting was last updated on 02nd April 2019 and is managed by Enthusiast. There are 40 (+0) members. The newest member of the fanlisting is Buruma. If you would like to become a affiliate, I will accept any Pokémon franchise fanlistings. Thanks! Please e-mail Rems with the details if you're interested. Pokémon © Nintendo & Game Freak.